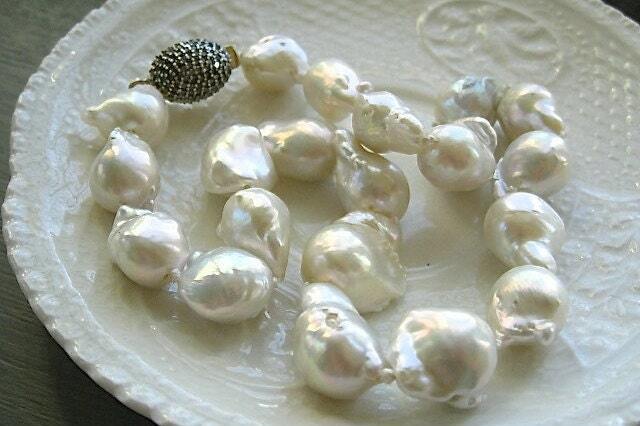 Large, lustrous, freshwater baroque pearls are hand knotted on cream colored silk cord. 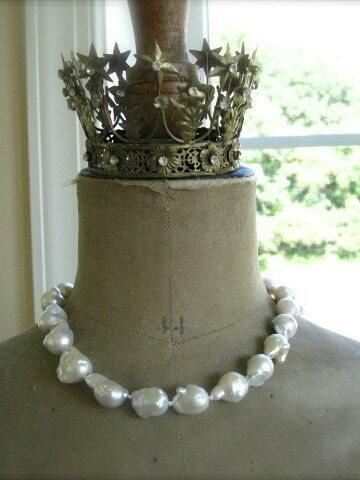 The pearls are exquisite, with a thick nacre, a wonderful baroque shape, and high luster. Also, they are quite the statement maker, at 15-20mm in length. For the clasp, a pave diamond box clasp, set in sterling silver is used. 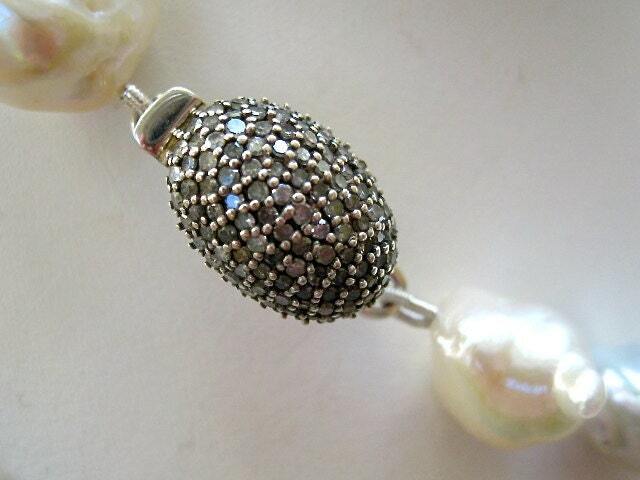 For such high-end pearls, a diamond clasp seemed the obvious choice! With this gorgeous clasp, the necklace is beautiful both coming and going! Since the necklace is the epitome of sophistication, elegance and timeless beauty, I named it "Grace", after Princess Grace of Monaco. Your "Grace" necklace will ship USPS first class mail with tracking and insurance in the US, and will be boxed in a lovely gift box tied with ribbon.